Yes, my family is psycho in love with Apple products. 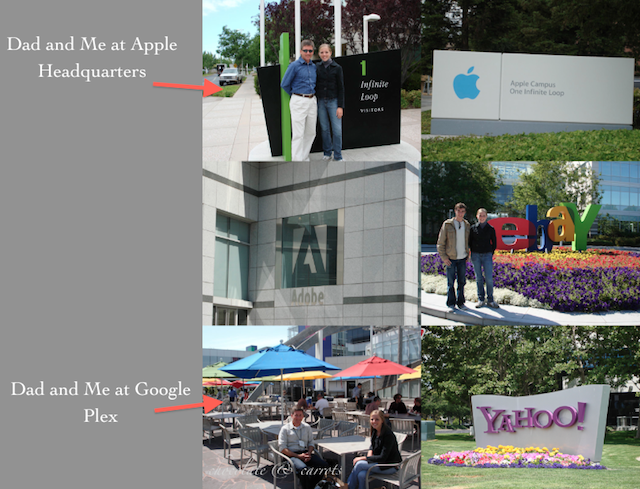 I even went to Silcone Valley to stalk Apple (and many others like Firefox, Google, Ebay, Amazon…) while we were in San Francisco. So, we were all sitting in the living room and we all seemed to be on a computer (which is dumb if you ask me if you’re spending time with family). It always seems like we’re facebooking, tweeting, and words with friends-ing? each other, RIGHT next to one another! To document our craziness we made an Christmas Apple Tree. Click on the photo if you want to zoom in any. Is your family weird like mine? HAHAHA!!!! or it should be HOHOHO 🙂 this is so cute! you should make it a Christmas card for next year. Oh man, my family is the same exact way! I love your Christmas tree haha! When we came out here to San Francisco to find a place to live, the first thing we did was go see Apple headquarters. Thankfully we also found a house to move in to. haha! I think it’s ridiculous and hilarious at the same time. 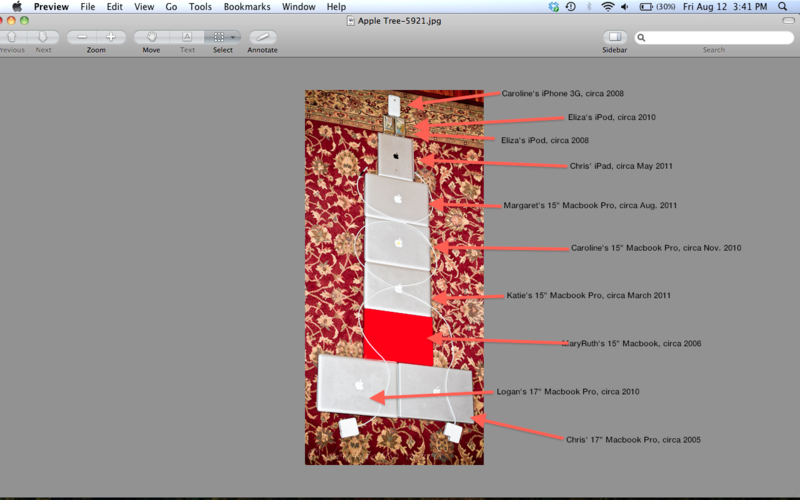 I was just informed yesterday he was thinking of buying a new one… really?? Feeling the love, with style, from Apple.